On Thursday, May 4, Pope Francis authorized the Congregation for the Causes of Saints to issue decrees relating to 12 canonization causes. Included among them is the decree proclaiming the heroic virtues of Guadalupe Ortiz de Landázuri (1916-1975), a faithful of Opus Dei. She was born in Madrid in 1916, on the feast of Our Lady of Guadalupe. She studied chemical sciences at the Central University in her home city, and was one of only five women in her promotion. During the Spanish civil war, she comforted her father, who was a military officer, in the hours leading up to his execution. She forgave those responsible for her father’s death from the first moment. After the war, she finished her university studies and taught physics and chemistry in the Irish School and the Liceo Francés, both in Madrid. At the beginning of 1944, through a friend, she met the founder of Opus Dei, Saint Josemaria Escrivá, who taught her that professional work and ordinary life can be the place for encountering Christ. Later she would say: “I had the clear sensation that God was speaking to me through that priest.” That same year she joined Opus Dei. From then on, Guadalupe committed herself unconditionally to seeking holiness and encouraging people to draw closer to God. In Madrid and later in Bilbao, she dedicated herself especially to the Christian formation of young people. From 1950 to 1956 she was in Mexico, where she helped to begin Opus Dei’s apostolic work. It was an adventure that she undertook with generosity and great faith. Those who knew her highlight that her priority was fulfilling God’s will and putting herself at the service of others. Moved by Guadalupe’s encouragement, some of her friends helped initiate activities of human and Christian development, including a center for the training and advancement of farm workers in a rural area in the State of Morelos. In 1956 she moved to Rome, where she assisted Saint Josemaria in Opus Dei’s government. 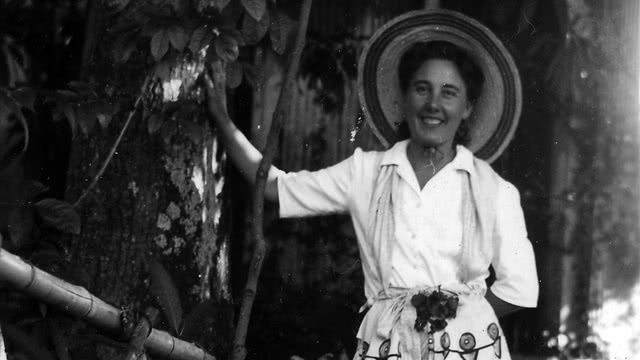 After two years, due to health reasons, she returned to Spain, where she took up teaching and scientific research again. 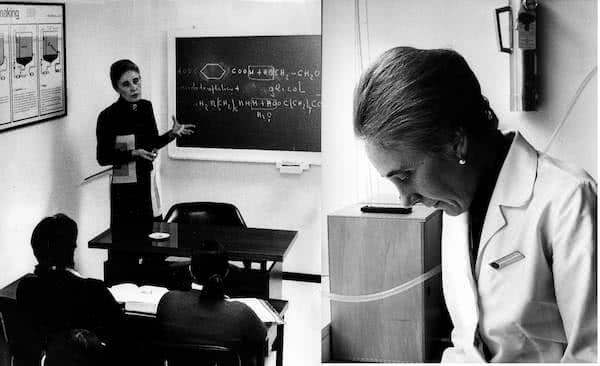 She finished a doctoral thesis in chemistry with the highest marks, and was one of the pioneers in starting the Center for Studies and Research in Domestic Sciences. Later she received a medal from the International Committee of Rayonne et des Fibres Synthétiques, for a research project on textile fibers. At the same time, she continued carrying out the work of Christian formation provided by Opus Dei. All her actions reflected an eagerness to grow in love for God through her work, her friendships, and her example of joy. After a long battle with heart disease, she died in Pamplona, with a reputation for holiness, on the feast of Our Lady of Mount Carmel in 1975. She was 59 years old. Ever since, private devotion to Guadalupe has continued to spread. According to the postulator, people who have prayed to her intercession have received a wide variety of favors: cures, favors relating to pregnancy and giving birth, finding work, achieving a better balance between work and family, resolving economic problems, reconciliations among family members, and friends and co-workers growing closer to God. The process of gathering information on the life, virtues and reputation for sanctity of Gaudalupe was opened in Madrid on 18 November 2001 and was finished on 18 March 2005. The tribunal interviewed 32 witnesses in Madrid and 22 witnesses in Mexico City. On 17 February 2006, the Congregation for the Causes of Saints authorized the decree for the validity of the process, and on 4 August 2009, the Positio on the life and virtues of Guadalupe was presented. On 7 June 2016, the congress of theological consultors gave a positive response to the question on the heroic virtues of Guadalupe Ortiz de Landázuri. On 2 May 2017, the ordinary session of cardinals and bishops made the same pronouncement. On 4 May 2017, Pope Francis received from Cardinal Angelo Amato, prefect of the Congregation for the Causes of Saints, a detailed account of the stages of the cause, ratified by the vote of the Congregation for the Causes of Saints, and he authorized the publication of the decree declaring the servant of God Guadalupe Ortiz de Landázuri venerable. Romana, No. 64, January-June 2017, p. 170-173.